Nebraska books and writers will be featured and celebrated at the Nebraska Book Festival on August 25, 2018 at the University of Nebraska City Campus Union from 9:00 a.m.-6:30 p.m. It will feature author appearances, book signings, exhibitors, booksellers, poetry readings, and hands-on family activities. Authors include Janice Harrington, Stew Magnuson, Brandon Vogel, Melissa Fraterrigo, Jeff Kurrus and Michael Forsberg, along with Nebraska poets from the 2018 One Book One Nebraska selection Nebraska Presence: An Anthology of Poetry. The Nebraska Writers Guild will feature readings, discussions, and workshops for writers. Concierge Marketing will host Maker activities to celebrate books, including family activities to encourage book lovers of all ages to craft, draw, imagine, and create. The Festival is sponsored by University of Nebraska Press, Nebraska Library Commission, Nebraska Center for the Book, Lincoln City Libraries, Humanities Nebraska, Union Bank and Trust, University of Nebraska-Lincoln College of Journalism & Mass Communications, Friends of University of Nebraska Press, Nebraska Writers Guild, and Concierge Marketing and Publishing Services. 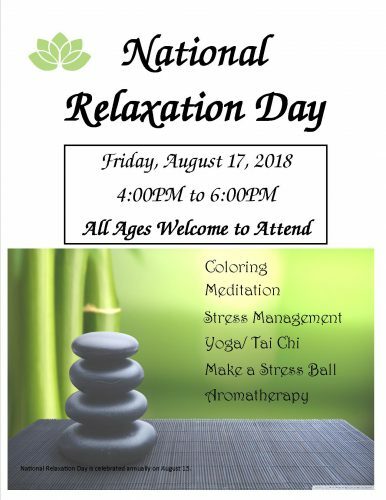 We invite all patrons, young and old, to come to the library on August 17th, 2018 and join us in celebrating National Relaxation Day. You will find information and activities on stress reduction, how to make a relaxation schedule, aromatherapy, mindfulness and meditation. Why is relaxing and stress reduction important? It betters your mood, helps improve sleep and keeps you healthy. Storyteller, Jerome Kills Small, will speak at 4:00 pm in the Oxbow Library room at Ponca State Park on Saturday, July 7. 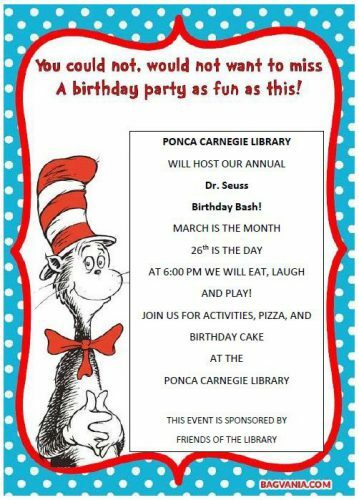 This event, sponsored by Ponca State Park and Friends of the Ponca Carnegie Library, is free and open to the public. A potluck meal will be provided after the storytelling. Featured in the book, Wounded Warriors: A Time for Healing, Kills Small has contributed to other publications such as the Silver Anniversary Anthology published by the South Dakota Humanities Council. Mr. Kills Small has parts in the videos, Sucker Punched, Nagi Kicopi (Calling Back the Spirit,) Lost Landscapes, and Bones of Contention: Repatriation and Reburial (BBC). Jerome Kills Small is a storyteller for public schools, museums, and colleges. He translates, explains, and sings Lakota ceremonial, sweat lodge, powwow, rabbit, round dance, warrior, vision quest, and Sundance songs. He sings with the Iron Wing Singers of Wagner, SD. He is a powwow organizer, announcer, arena director, and helps in conducting Lakota ceremonies. He has portrayed Tecumseh, a Shawnee Chief and British General, as well as Dr. Charles Alexander Eastman, the first Dakota Medical Doctor. Mr. Kills Small is on the board of Directors for the Native American Advocacy Program. The Untold Story of the Women Who Helped Win World War II. At the height of World War II, Oak Ridge, Tennessee, was home to 75,000 residents and was using as much power as New York City … but to most of the world, it was as if the town didn’t exist. Thousands of workers (many of them young women from small towns across the South) were recruited to work in this secret city, enticed by good wages and the promise of war-ending work. But most of them never guessed what was really being made in those enormous factories in the middle of the Appalachian Mountains – until the end of the war, when Oak Ridge’s secret was revealed. 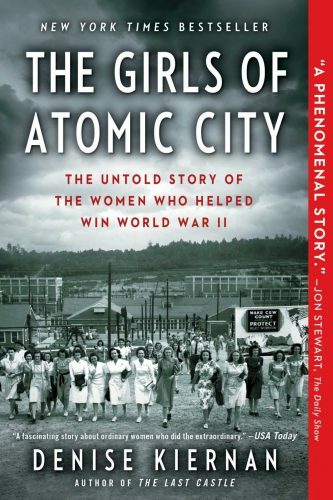 In The Girls of Atomic City, Denise Kiernan traces the astonishing story of these unsung World War II workers through interviews with dozens of surviving women workers and other Oak Ridge residents. Like The Immortal Life of Henrietta Lacks, this is history and science made fresh and vibrant – a beautifully told, deeply researched story that unfolds in a suspenseful and exciting way. Join the Friends of the Library, Thursday Feb 1, 2018 at 7 pm to discuss the book “Into the Woods” by Tana French. Everyone is welcome to attend, even if you haven’t read or finished the book. 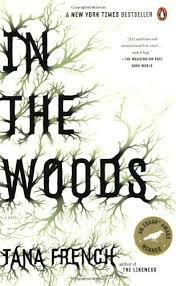 Friends of the Library invite the community to join in reading “In The Woods” By Tana French. 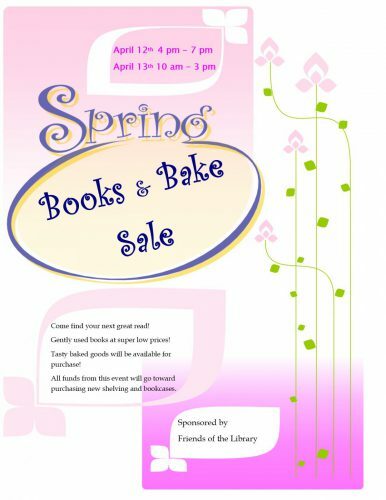 The books are currently available at the library for checkout. Much more than a gripping police procedural, Tana French’s debut novel offers readers a stunning look into the dark recesses of the human heart and a brooding reflection on the evils that are sometimes just a breath away. As a newly anointed murder-squad detective in Dublin, Ireland, Rob Ryan solves mysteries for a living. Yet only a handful of people know that a generation earlier Ryan himself stood at the center of one of the most tantalizing unsolved cases in the recent annals of Irish crime. At the age of twelve, then known as Adam Ryan, he and two playmates wandered into a wood near his home in the town of Knocknaree. Hours after being reported missing, Adam was found unhurt but standing in a pair of blood-soaked sneakers, so deeply traumatized that he could not recall a single detail of what had happened. The two other children were never found. A first-time author who writes like a seasoned veteran, Tana French populates her psychological thriller with deftly drawn, unforgettable characters, from Rob’s brilliant and magnetic partner, Cassie, to Katy’s overprotective and evasive parents to Mark Hanly, the passionate young archaeologist whose very life is devoted to buried truths. Always at the center of the story, however, is Rob Ryan himself—keenly intelligent, outwardly brash and confident, but far more fundamentally wounded and incomplete than appearances reveal. In the dark, deceptive world of In the Woods, many of the hardest questions depend upon a single query: will Rob’s attempts to regain his inner equilibrium finally throw his life, his friends, and the Devlin investigation out of balance forever? Born in Vermont, Tana French had a peripatetic childhood that took her to Florence and Rome, as well as the African nation of Malawi. A resident of Dublin since 1990, she has a degree in drama and English from Trinity College. Prior to writing In the Woods, she was best known as an actor in a wide variety of theatrical productions in Dublin.